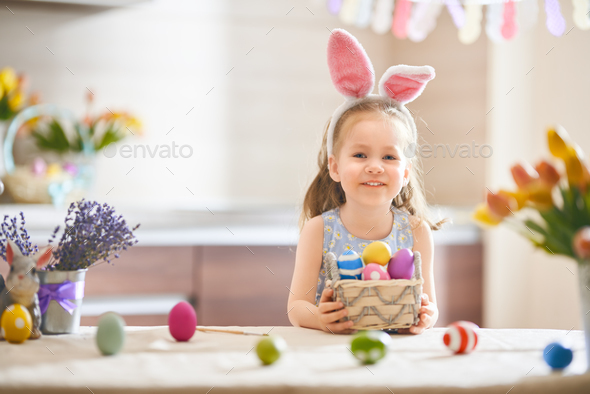 Beautiful child painting eggs. Happy family preparing for Easter. Cute little girl is wearing bunny ears.